For years, Marvel put out a What If? 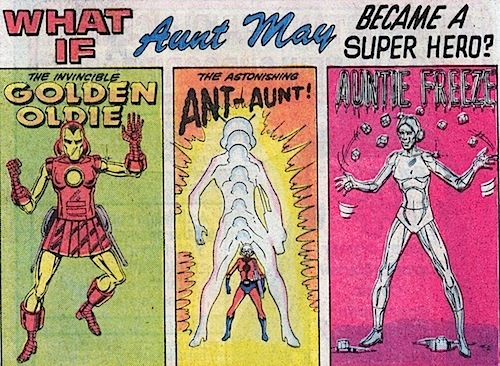 comic series, pondering alternate realities in the Marvel universe, covering everything from “What If Wolverine was a Vampire?” to “What if Aunt May was a Superhero?”. You know, the big questions. But this year, the series is back for a short run, with its eyes on the Mad Titan . In recent years What If has returned as an annual mini-event rather than an ongoing anthology, and that’s the case here. As a lead-in to Marvel’s upcoming universal shake-up later this year, What If? Infinity will go back to the heady days of 2013, and offer a series of alternate imaginings of the companies’ Infinity event, which saw Thanos invade an Earth left undefended by the Avengers. The five one-shot comics will explore different outcomes to what actually occurred—such as “What if the Avengers lost?”, “What if the Avengers lost, err, again?”, or “What if Green Goblin got his hands on the Infinity Gauntlet?”—during Infinity. Each issue will be penned by Josh Williamson, with five different artists joining him for each comic: What If? Infinity - Thanos by Mike Henderson, What If? 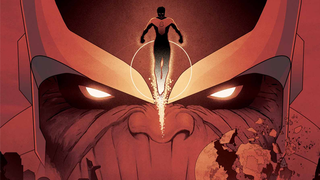 Infinity - Inhumans by Riley Rossmo, What If? Infinity - Avengers by Mike Norton, What If? Infinity - Guardians of the Galaxy by Jason Copland, and What If? Infinity - Dark Reign by Goran Sudzuka. Honestly, as nice as it is to see a concept like What If? show up again, I kinda wish they were doing something a little sillier with it. Do we really need to revisit comic event that’s barely two years old? The goofy side of What If? was what helped made it memorable, even more so than the alternative stories. As serious as some of these stories sound, let’s hope they can capture at least a little of that humor. What If? Infinity will begin in October.